Facebook's CEO said he'll testify before Congress, if he's the most knowledgeable person to go. "The short answer is, is I'm happy to if it's the right thing to do," Mark Zuckerberg told CNN. This is big news, since Zuckerberg has reportedly never testified before a congressional committee. His comment comes amid increased scrutiny of the Cambridge Analytica scandal. 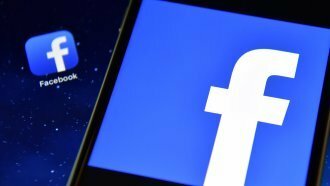 The firm is accused of gathering data from more than 50 million Facebook users without their consent. Then the company used that data to try to influence users with targeted advertisements. Facebook said the data has since been deleted and that Cambridge Analytica's Facebook page has been suspended. Zuckerberg first spoke out about the data firm on Wednesday, calling what happened a "breach of trust."